Aspen Ski resorts are renowned for their fantastic conditions, and this goes for all snow sports in the area like skiing, snowboarding, cross-country skiing, sleigh rides, dog sledding and more. When you have five Aspen, Colorado ski resorts to choose from, you can’t go wrong no matter which one you pick, although each has a different specialty. Aspen Ski areas like Aspen Highlands seem to attract people who love endless pockets of powder and uncrowded slopes, where you can take your skills to the next level. Aspen Highlands boasts slope rankings of easiest - 18%, more difficult - 30%, most difficult - 16% and expert - 36%. And with a 3,635-foot vertical drop and 700 acres, you’ll find this is one ski resort you can’t miss when in Aspen. 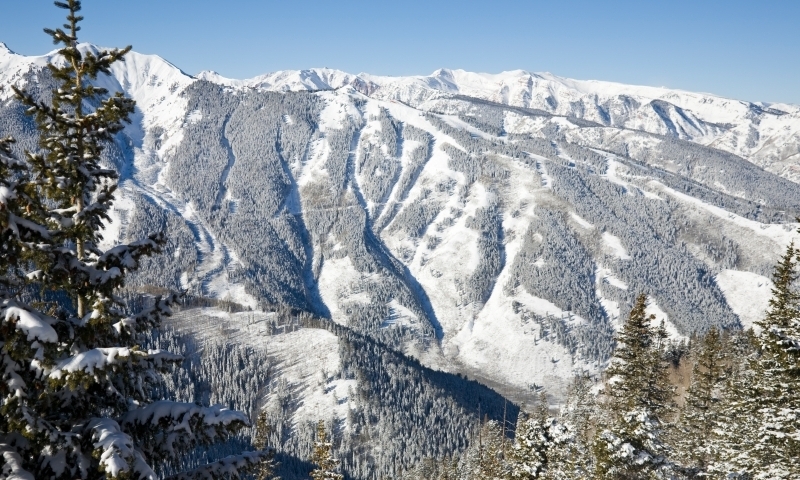 Aspen Mountain, known locally as Ajax, is just above the town of Aspen, and offers slopes starting with intermediate. It’s no place for newcomers to skiing. Levels of difficulty are rated intermediate 48%, more difficult 26% and expert 26%. There are 76 runs and 675 acres to explore. With 8 lifts, you won’t waste time off the slopes for long. Of all US ski resorts, Aspen, Colorado has some of the best, and Buttermilk is no exception, especially for beginning skiers. Located about three miles outside of Aspen, Buttermilk Ski Resort has a vertical drop of 2,030 feet and 44 trails totaling 21 miles. The ratings for the slopes are 35% easiest, 39% more difficult, 26% most difficult and 0% expert. Snowboarders are catered to here as well as those just starting in the ski world. The best of Aspen skiing resorts for families is Snowmass. There are plenty of lifts and a wide variety of terrain for all levels of skier. Snowmass is just a short drive from Aspen, and offers more than 4,000 feet of vertical drop and 3,132 acres. Slopes are rated 6% easiest, 50% more difficult, 12% most difficult and 32% expert. Sunlight Mountain features some great cruising terrain for intermediate skiers, and covers more than 470 acres. There are 67 trails, including one of the steepest in the state, Heathen, which slopes at 52 degrees. Slopes are rated at 20% easiest, 55% more difficult, 20% most difficult and 5% expert. Sunlight is in Glenwood Springs, about 40 miles north of Aspen.